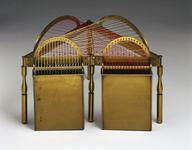 Set of Napier's bones, 1770-1790. 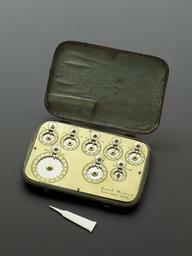 Set of Napier's bones, in wooden case with trade label of "J. Imison, Clock & Watch Maker, Optician, &c., No. 58 Hay-market, London", late 18th century. 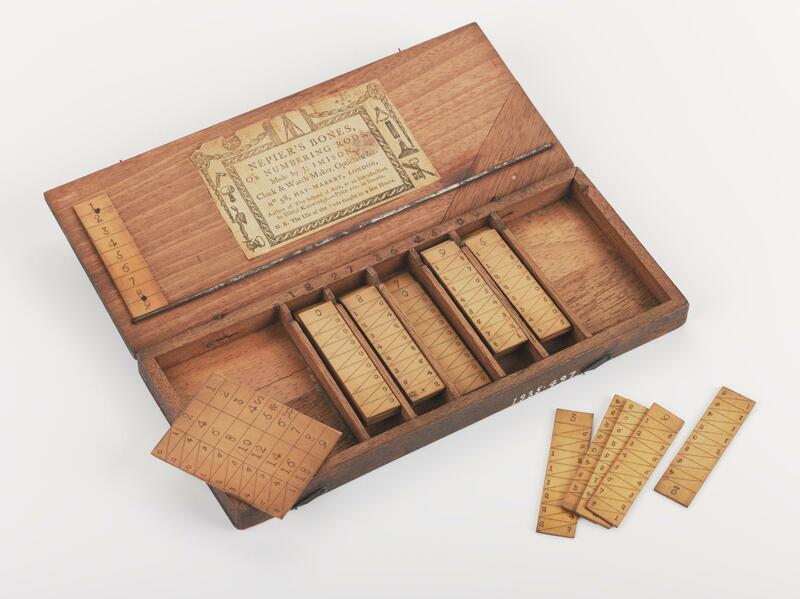 Napier's bones were invented in 1617 by Lord Napier of Murchiston, the inventor of logarithms, as a way of avoiding multiplication by adding.